The greatest challenge in the operation and management of living religious heritage is considered to be the reconciliation of heritage protection, tourism development and maintenance of religious function. The key concept associated to these differing uses of heritage is the same, ‘authenticity’; yet, this concept is sensed and applied in differing ways: authenticity of heritage, authenticity of tourist experiences, and authenticity of religious Tradition. The paper explores the three different concepts of authenticity on a theoretical level. Subsequently, three case studies are discussed: the monastic site of Meteora in Greece, in which the concepts of authenticity are separated from each other; the project of the conservation and restoration of the Tomb of Christ in Jerusalem – a central theme of the present Conference –, in which the authenticity of heritage is linked to the authenticity of religious Tradition; and the Toplou Monastery in Crete, Greece, in which the authenticity of tourist experiences is linked to the authenticity of religious Tradition. 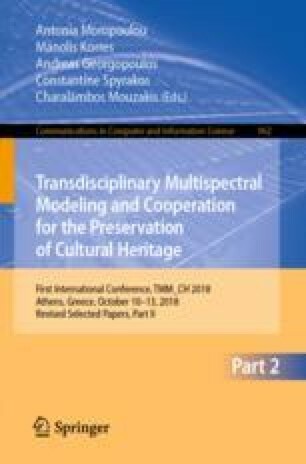 The theoretical part uses material from disciplines associated to the three concepts of authenticity: heritage conservation, business/tourism management, and theology. Regarding the case studies: Meteora is based on my Ph.D. at University College London and on subsequent research; the conservation project of the Tomb of Christ on the exhibition guide of ‘The Tomb of Christ: the Monument and the Project’ at the Byzantine and Christian Museum and on my personal visit to the exhibition; and Toplou Monastery on my personal visit to the Monastery. The ultimate aim is to embrace heritage protection and tourism development within the maintenance of the religious function of heritage. To this end, the attempt is not to draw a direct link between heritage protection and tourism development – as is normally the case – but an indirect one, through the maintenance of religious function. Also, the religious communities are promoted as the community group with the highest responsibility in the operation and management of their sites: good practices are highlighted, as well as practices that should be better avoided.